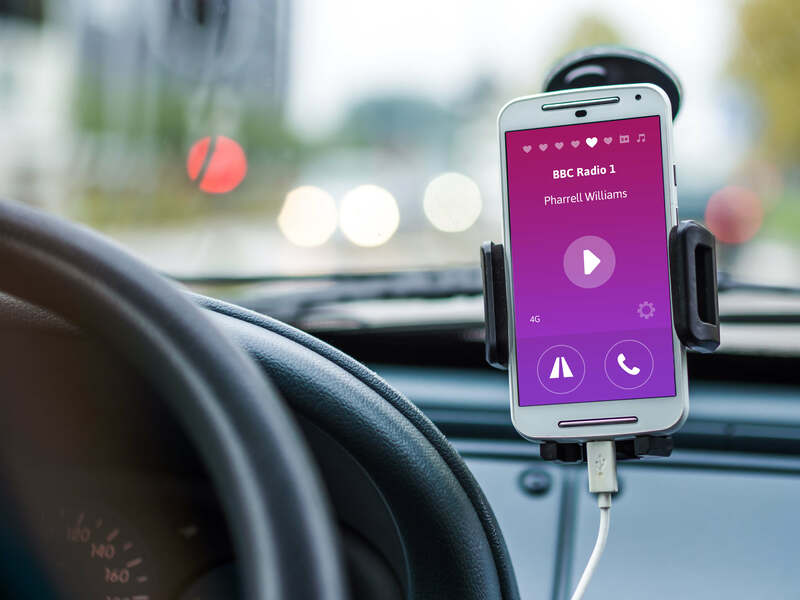 UK Radio Player developed a prototype that solves the problem of crappy radio reception and heavy data usage whilst driving, it enables users to receive DAB, FM, internet radio and the users music library from their smart phone. They needed an app interface that was safe to use whilst driving and stood out from the crowd in a fast growing product market. The biggest challenge we faced was road safety, we needed to ensure the user could interact with the app without being distracted by it. We employed the 10ft user interface guidelines which enables users to interact from an uncomfortable distance such as TV displays or in this case driving. 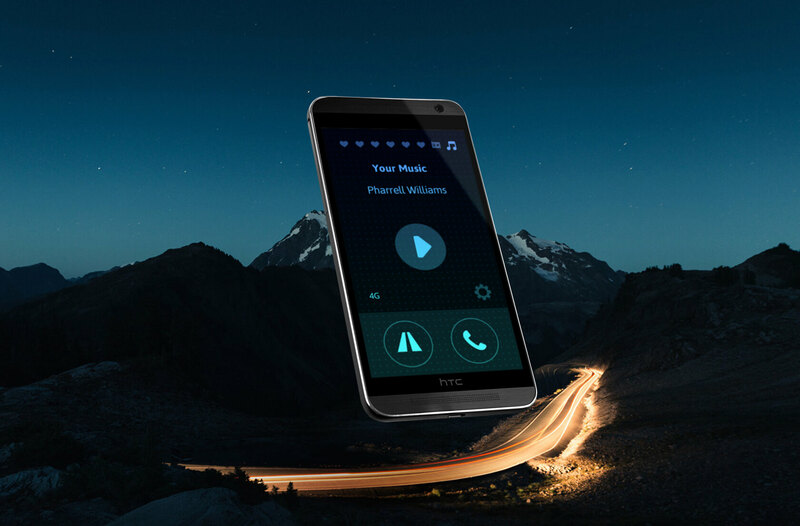 Safety is paramount and with this is mind the interface is bold, simple and uses colour to segment sections and audio cues to alert the user to new activity within this app without them having to engage visually or physically with the phone. The app adjusts it’s interface depending on light levels, using the built in sensors it will gradually change to the night setting.